To get from the Pisa Airport to Florence, there are three usual ways: by train, by bus and by private car directly to your vacation rental. 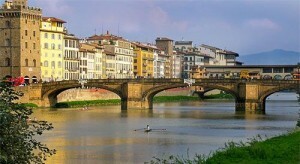 You don’t need or, probably want, a rental car in Florence, but you could do it all the same. Here is all the information you need to decide on which service works best for you.